If you’re playing a role in your company’s future -- if you’re in a position to influence its performance -- if you’re leading change -- you need Harvard Business Review. HBR is the world’s recognized leadership authority for managers who are creating, leading and transforming their companies to profit from the new global economy. Now monthly, HBR brings practical, hands-on ideas, insights, technologies, and techniques to strengthen your power to lead people to success. Every issue helps you use technology for competitive advantage. Guides you through strategic decision making during fast-moving change. Introduces you to innovative managers who share their breakthroughs. Reveals the secrets of motivating today’s workers. Shows how to forge online alliances and partnerships, and more. Take your leadership skills -- and your company -- to the next level. Published in English - Monthly. Allow 12-16 weeks for initial delivery. 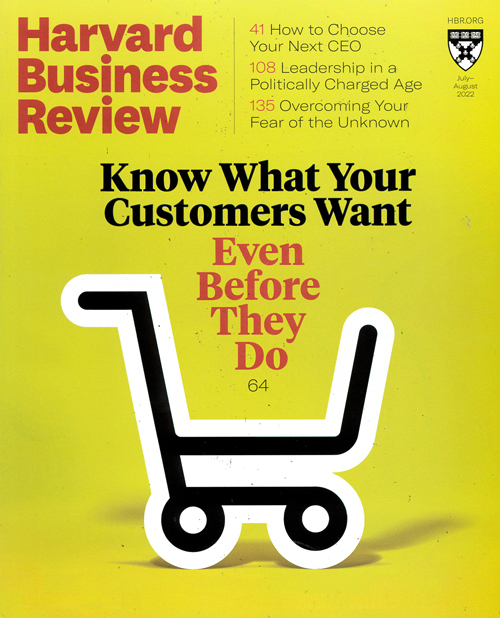 6 double issues of HBR (1 year) )Print & Online. Please note that from January 2017 there will be 6 double issues each year, Jan/Feb, Mar/Apr, May/june, Jul/Aug, Sept/Oct and Nov/Dec. Bring your passion for business alive! Discover the most compelling and thought provoking view into business life from the publisher of the world famous FORTUNE 500.